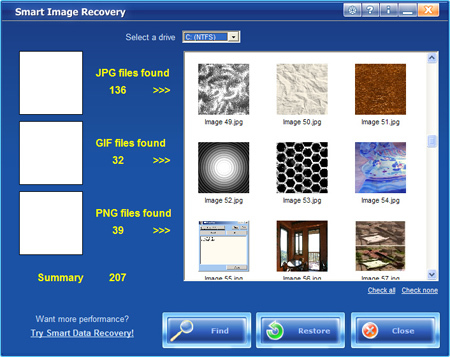 Save your images with Smart Image Recovery! 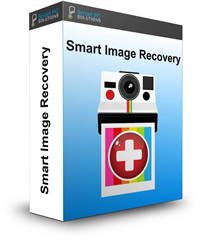 Smart Image Recovery is an image recovery tool for deleted images restore (jpg, gif, png) from any devices. 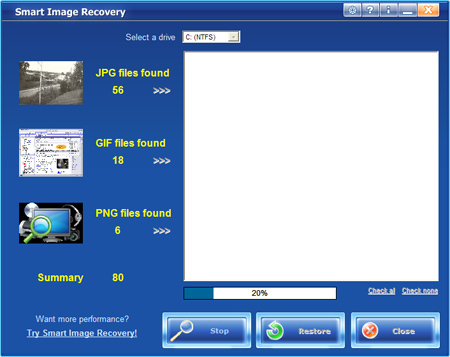 The unique utility algorithm doesn’t depend on media type or its file system, it scans the disc to detect the lost images and performs it easily and fast. Built-in presearch allows you to stop the process when you find the lost photo. You don’t need to be a professional and use complex disc reading programs – use Smart Image Recovery to recover the loss, it will undertake all the complicated search-restoration job! The program works both with hard discs and removable media, supports OS Windows NT/XP/Vista/Windows7 as well. All major image formats can be recovered in cluding jpg, gif, png, bmp etc.